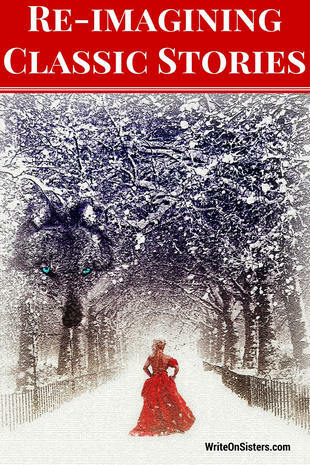 This weekend we reviewed three books based on revisited fairy tales. You can read more about that here. In case you didn’t realize it, this is a huge trend in books, movies and TV shows. Some of the hottest projects around are adaptations from characters and stories combed from the pages of literary classics: Grimm, Once Upon a Time, and Frozen to name a few. The best part of revamping a classic work is you don’t need to be the first. Each of these stories has enough world building and characters to allow for countless adaptations. Here are six things to think about if you want to carve out a fresh and in many cases darker version of an old classic storyline. Make sure you’re starting with a public domain story. If you’re adapting a fairy tale you’re probably safe, but take the time to make sure. Here’s a list of the Grimm stories to help get you started. Familiarize yourself with your story, and try to read a few different versions. You may not know the story as well as you thought you did. Block out the key story elements. Once you have those down consider how you want to recreate the story. Pull out all the key story tropes you can. I understand that some stories are entrenched in the public’s psyche, but chances are it’s by losing some of these expected plot aspects that will create a fresh sounding story. For example, since we’re talking about dark themes this week, dump the happy-ever-after ending. The good news is lots of classic stories started out dark and have been prettied up for modern readers. Swap out something big. Changing the time frame is a great way to adapt an old story in a meaningful way. The most common setting change is to make the story modern day, but what about setting it in the future? Or even going into space? I read a lot of classics and my writer mind can’t help playing the “what if” game. Recently I’ve started to wonder what a version of The Count of Monte Cristo set in a post apocalyptic world might look like. Perhaps Edmond escapes from a too sterile and starkly white cell into a world that’s dark and devastated. If you don’t want to alter story perfection, dial up the intensity. Tim Burton is a master at this, his Alice in Wonderland is just over the top. Tap into the core values of the story: love, hate, jealousy, and seek out ways to push the boundaries to the limit. You can also look for an unexplained detail in the original story and add an origin story to explain it. This worked for Ella Enchanted. I never could understand why Cinderella obeyed her Step-mother, so a curse of obeying makes perfect sense. Strike out on some new story ground. With just one or two of the original story characters you can pursue a totally new end goal. Or pick up your story where the other story stopped. 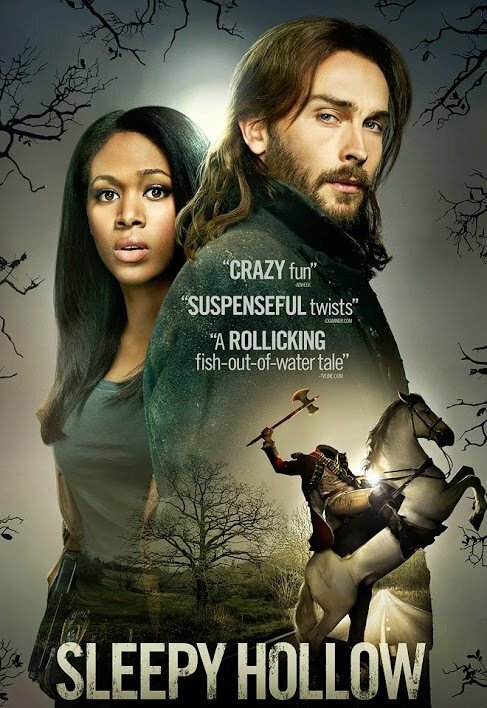 This plan worked for the TV show Sleepy Hollow. I love how they incorporated historical tidbits and clues, and seamlessly wove real and fictional landscapes together. Change the point of view. I’m sure a few years ago no one saw Wicked coming. The least likely, and sometimes least likeable characters in a classic story are often the ones that need to tell their stories the most. It’s fascinating to hear what the other players in the story have to say about the hero. Re-envisioning a classic story can be tons of fun, and best of all it can work for any age audience, and for any genre. NaNoWriMo is right around the corner, if you’re still at a loss for an idea, why not give a classic story adaptation a shot? I love retellings. I’m reading a Cinderella retelling right now. It’s fun to try and see the story in a new way, but also keep the spirit of the original story alive. Let me know if you decide to give it a try, I’ll gladly volunteer to be one of your beta readers.